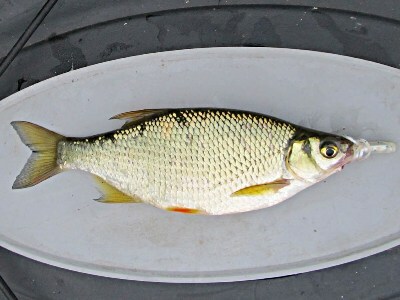 The golden shiner is an important forage fish in lakes, ponds, rivers and creeks. In addition to wild populations of golden shiners, the species is farm raised and sold for fishing bait. Although small in size, golden shiners can be caught with small baits, flies or jigs. In spite of the small size, they make excellent table fare.